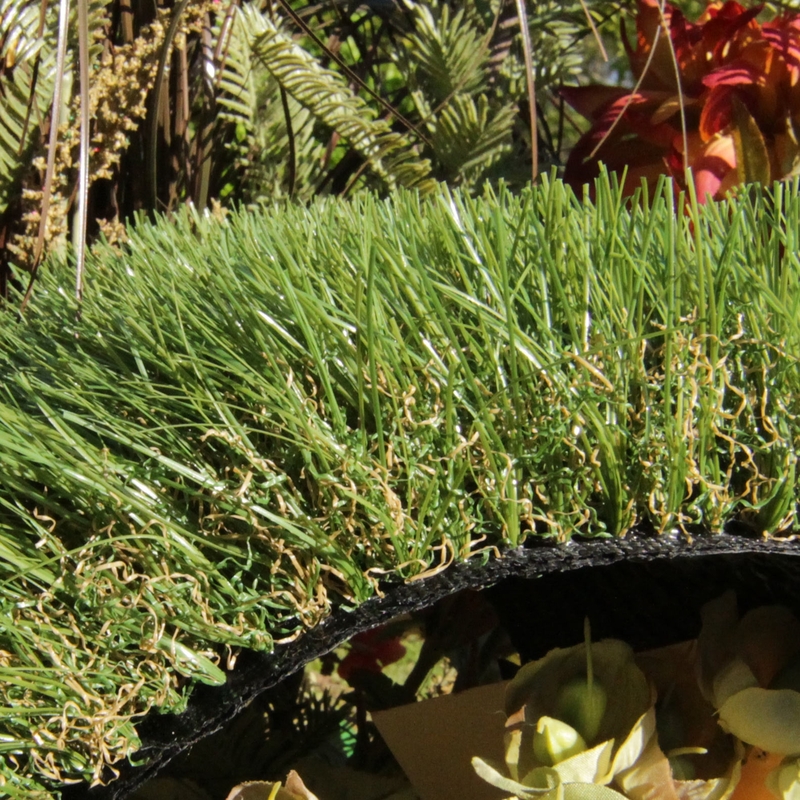 Combining the best characteristics of natural grass and sports court surfaces, Trainers Turf-63 artificial turf is one of the best synthetic grass solutions on the market. Creating perfect traction and the best force reduction properties, Trainers Turf-63 has withstood the tests of time and proven to give the best game experience for players and their fans. Whether on the field or the sidelines, Trainer's Turf-63 is a durable turf that handles heavy foot traffic, and extreme situations with the reliability athletes depend on. 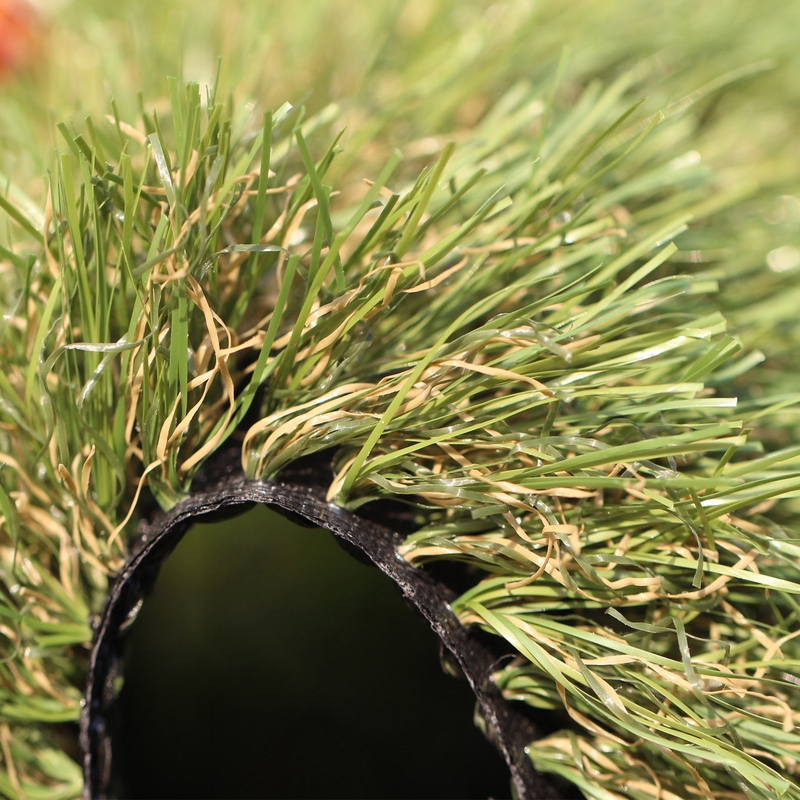 With a pile height of 1 1/4" and a face weight of 63 oz./yd2, Trainers Turf-63 is specially designed for sports but is versatile enough for landscapes and pet areas. 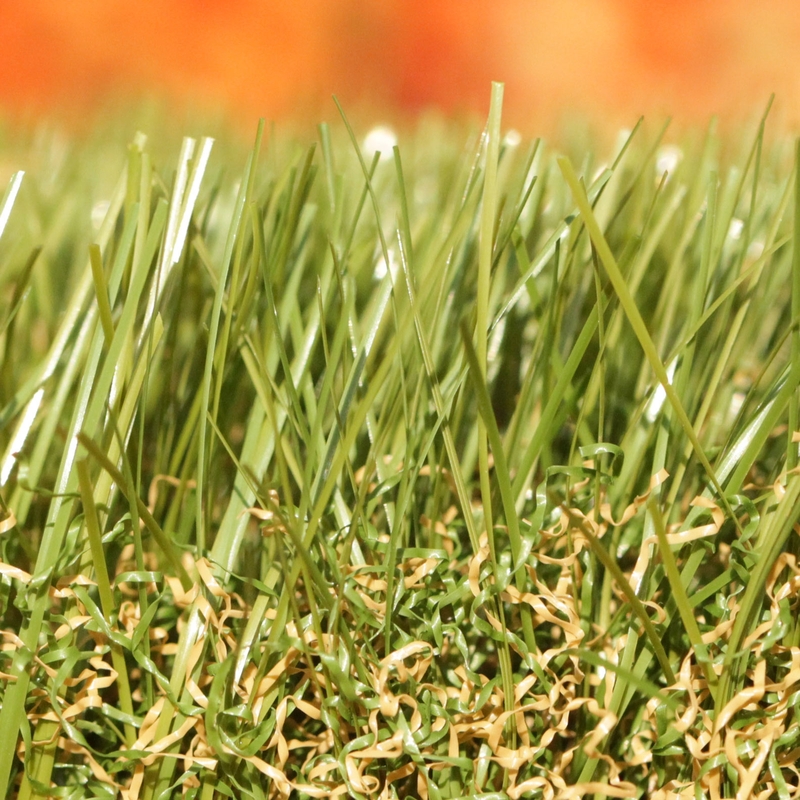 The popular Stemgrass blade shape of this turf emphasizes the realistic nature of the turf; the broad Stemgrass blades mimic the natural form of real grass. 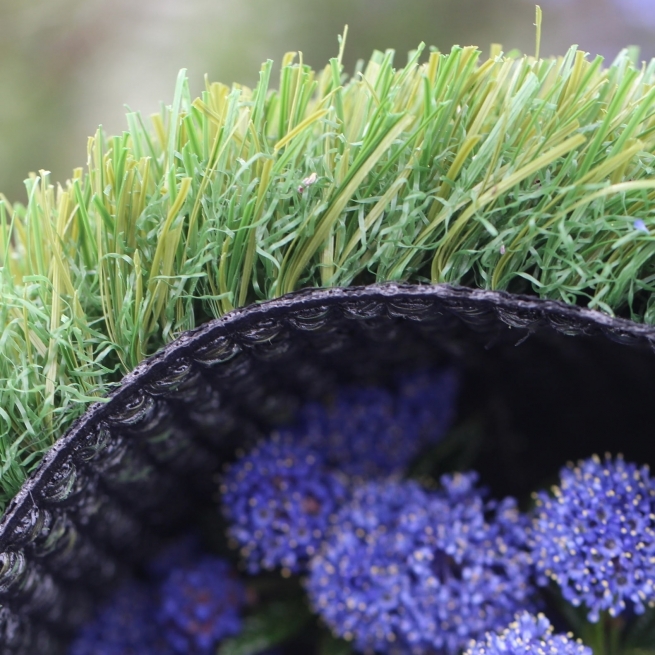 Emerald Green and Olive Green blades combined with Green thatching create a deep green look that will last through all weather seasons. Excessive mud and dirt will no longer hamper players during game and practice time, artificial turf removes the possibility of mud and rocks creating an even playing field for all to enjoy. 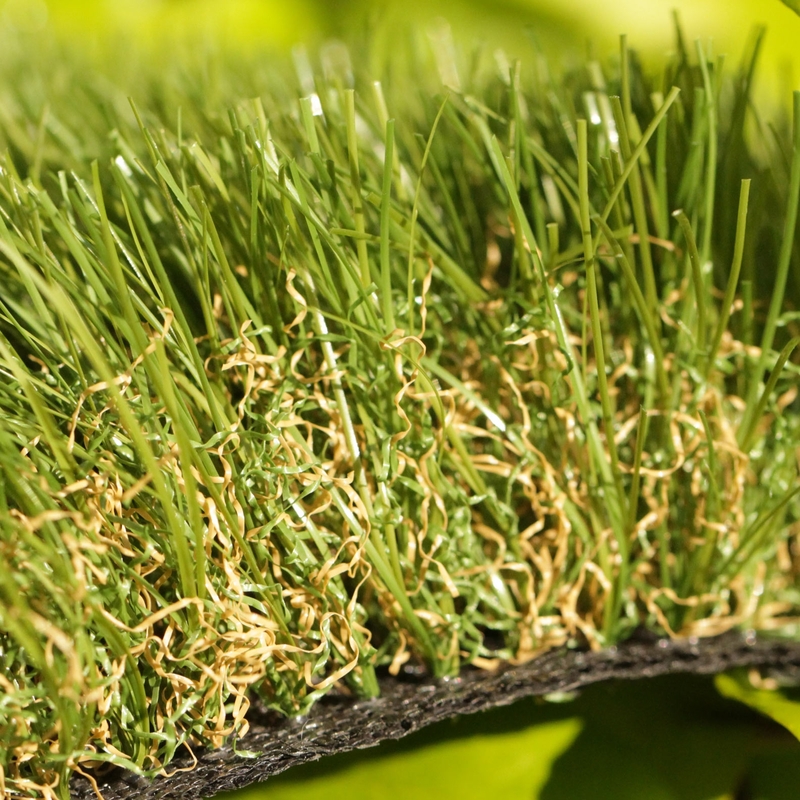 Global Syn-Turf's Trainers Turf-63 will save you money on pesky maintenance bills and keep your sports field or landscape in top shape and looking healthy and green all year round. Your team will love the reliability of the finest quality turf beneath their feet that meets all the safety requirements to ensure the greatest game possible.